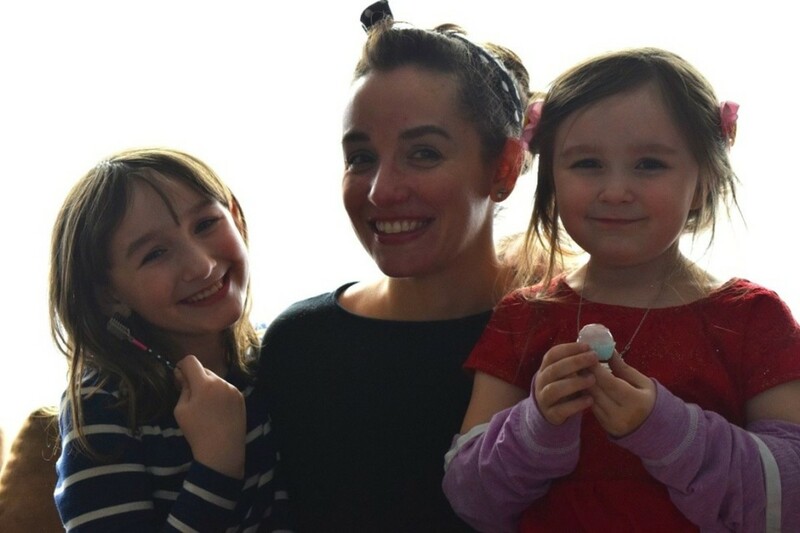 In the spirit of Mother&apos;s Day, Garnier® Whole Blends™ continue to remind us of our unique beauty. I am so tired. My family has just had yet another whirlwind week of running from activity to activity, jetting off to parties, staying up too late and working super hard. Sound familiar? Most of us share a similar story. We put our heads down and charge through our to-do lists, barely lifting our eyes to notice what’s going on around us as we do. But guys? That’s not cool. What’s the point of working so hard if we don’t ever step back, take a deep breath and enjoy the things that really matter? We got home on Sunday and had a little bit of down time before what promised to be another action-packed week. My girls decided I really needed a makeover. There was laundry that needed to be done and a house that could really use a good cleaning, but I decided we all could use a little break. And I’m so glad I did. The girls fussed over me like I was a star client, massaging my hands with lotion and touching up anything that didn’t come out just right. 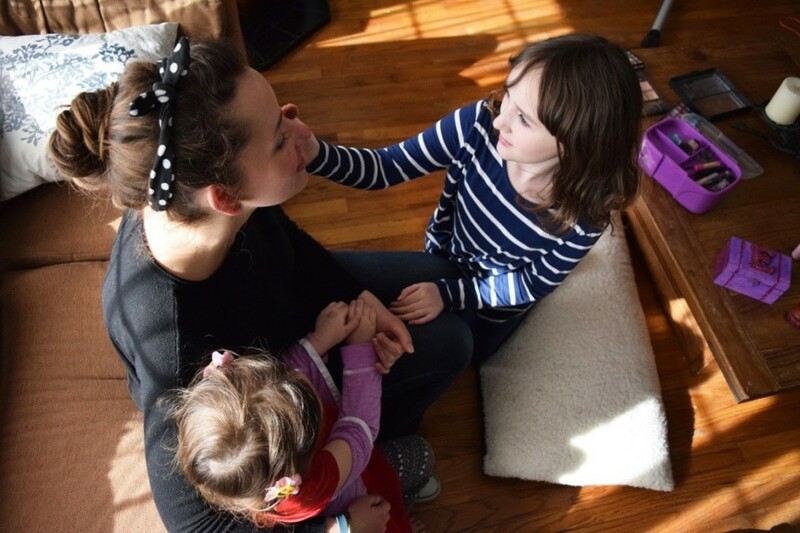 They talked me through the whole thing step-by-step (they’re big talkers) and poured on the love and affection, telling me how beautiful I was when they were done. I may have looked like I belonged in a bad &apos;80s movie when my face was complete, but I definitely haven’t felt that beautiful in a long time. 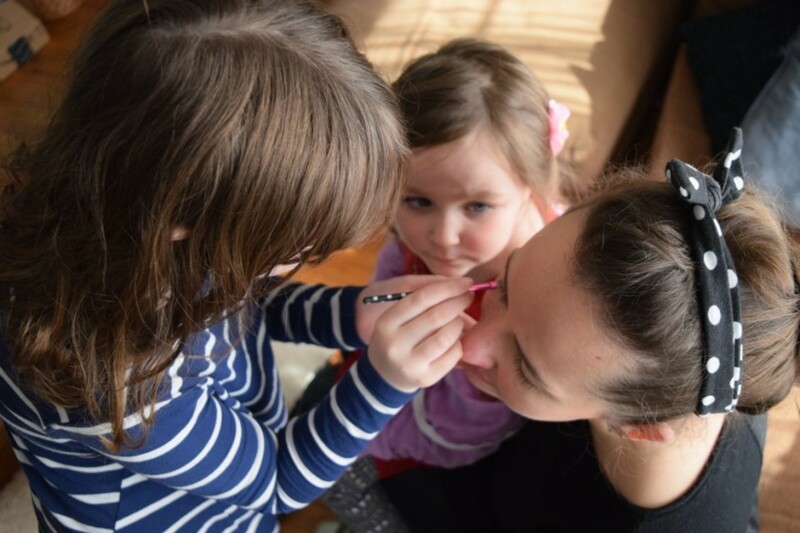 This small little step back to connect with my girls on a day when we were all pretty cranky did wonders for all of our moods and taught me much more than I expected. It’s the little moments that count and it’s so important to step away from the to-do list and do the things that really matter to you. Whether it’s setting aside a chunk of time to soak in a bubble bath with a glass of wine to clear your schedule for that ballet class you’ve been wanting to try or to take your kids on a surprise adventure, do it. I promise you won’t be sorry. 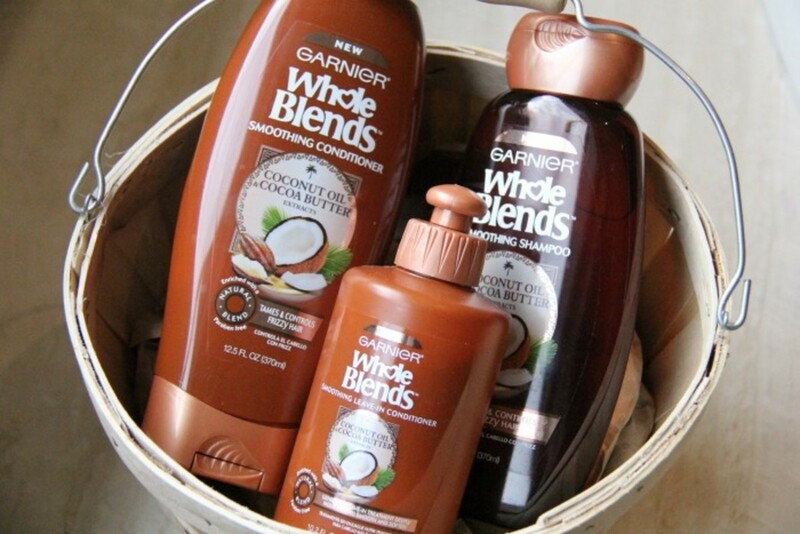 My weekend is ending with a nice long shower and my favorite new shampoo and conditioner, Garnier® Whole Blends™ Smoothing line with Coconut Oil & Cocoa Butter extracts. You guys, they smell incredible and have me dreaming of a tropical vacation or at least an April weather warmer than 50 degrees! Garnier® Whole Blends™ is paraben-free. I like it because the Smoothing line leaves my hair less frizzy and more manageable. Another quick pick me up that goes a long way. Now for a chance to win a $100 Visa gift card, tell me in the comments below, when do you take a step back from your to-do list so that you get more quality time in with your family?